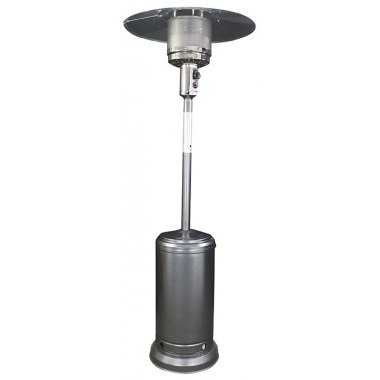 Antique hammered silver powder coated steel and 44,000 BTU's set this HomeComfort Radiant patio heater apart from the rest. It can heat up to a 115 sq. ft area to keep your patio warm and cozy. The Finish is durable and long lasting and will provide years of service while enhancing your patio decor. Simple lighting and large control knob make this heater very simple to use.